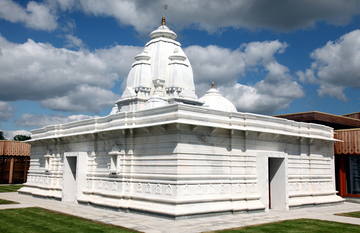 Krishna Avanti Primary School, Harrow, is Britain's first state-funded Hindu school located in Edgware, Harrow area in North West London. Avanti Schools are excellent environments for learning, the school is imbued with the pillars of educational excellence, character formation and spiritual insight. Our schools are fully vegetarian and we offer catering services through our connected catering team, Govindas (govindas.com). We also offer in-house catering. For more information please contact jay.pindolia@avanti.org.uk. We can do a variety of cuisines for all occasions, please let us know! 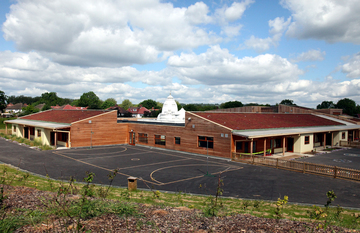 The revenue from venue booking directly helps the children of the school. We are very grateful for your help and support towards the teaching and learning of our children. Should you be interested in further supporting the school please visit: avanti.org.uk/giving. Krishna Avanti Primary School, Harrow benefits from state-of-the-art facilities including a 9 aside 3G football pitch, a main hall, and a dining hall as well as other sporting and non-sporting facilities. The facilities allow us to provide students with a full range of sporting activities within extra-curricular activities and within the curriculum. Our lettings are open 7 days a week, all year around, with extended opening hours during school holidays. There is ample parking available onsite and our friendly staff are always available to help.